The attack on American constitutional freedom of speech seems to come from every direction. We expect it from organizations who do not like the American way of life, its freedoms, and its constitution. But to have Hilary Clinton who works for the American people that was something the Clintons never accepted conspire to take away our freedom of speech is not just un American, but it warrants her firing. 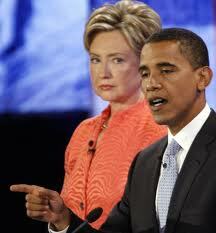 When she took her office she sore on the BIBLE (That means nothing to her) to uphold and defend the U.S. constitution. Yet we see that she is working with Organization of Islamic Cooperation (OIC) how to implement resolution no. 16/18 on combating defamation of religions, and how to prevent stereotypes depicting religions and their followers; as well as disseminating religious tolerance, which has been endorsed by the UN Human Rights Council last March, in agreement with Western countries. Obama’s administration has been working very hard to accelerate the Islamic agenda in America and to silence those who are exposing Islamic fascism including this blogger. This administration has been quietly appointing Muslim Brotherhood to key government posts without any accountability. 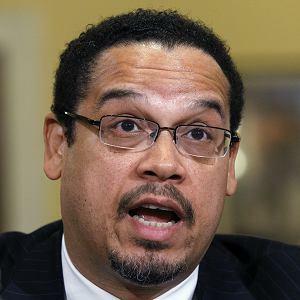 Then we have Rep. Keith Ellison (D) who is a Muslim advocating, educating, and pushing Islam down the throats of the Congress and America. Unfortunately, no one in the Congress is standing up to his B.S. It is interesting that the OIC and the UN so determined to be civil and not expose evil (Islam) for the sake tolerance and harmony. Yet, these same hypocrites in the UN who are silent when Muslims slaughter Christians in S. Sudan, Iraq, Iran, Pakistan, Indonesia, Saudi Arabia, etc. This ‘anti religious deformation” is a one way street. 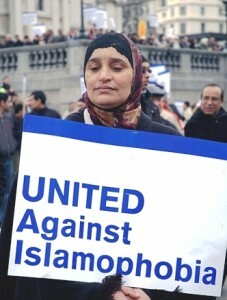 It is only if you speak out against Islam. If it is against Jews and Christians, this is just freedom of speech. What a farce this organization (UN) is. It is high time for the U.S. to pull out of these third world thuggery organization and kick them out of NY and send them back to their seven century dictatorship loving desert. Well, we will not hold our breath of that happening. Not while we have yellow spine politicians representing us in D.C. These acts are clear and present danger to American national security.